Sorry about the Hitler. It must be the holiday. Please bear with me. As for reading Rav Shagar’s Chance and Providence: Discourses on the Inner Meaning of Purim, I’m not sure what to say except that reading him left me feeling sick. Rav Shagar picks up on the well known adage to drink on Purim until you don’t know the difference between Mordecai, the hero of our tale, and Haman, the villain who seeks to wipe out the Jews. Shagar is all the rage in certain religious circles. He was rosh Yeshiva of Yeshivat Siach Yitzhak. He continues to entrance many readers with a unique blend of chasidus and postmodernism. In his reading of the Purim story, “Amalek” (the stand-in for Haman) (often re-linked to Hitler) is held up as the emblem of modernity, i.e. modern dichotomous thinking, self-consciousness, and all sorts of dualisms (mind/body, inside/outside, subject/object, etc./etc.). 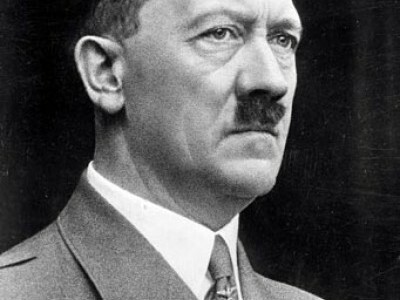 Nazism makes its appearance at one point in the discussion in relation to Nietzsche and the “Hamanic” principle. The ideal is said to be a state of indistinction, beyond good and evil, the unity of the godhead behind the facade of dualism, division, and distinction. Inebriation here is a metaphor for dissolving difference. Strong drink is central to the attempt to restore the kernel of good or holy spark in Haman that the Hasid seeks to redeem. “Perhaps the drunk will let a blessing slip out. Only the drunk is capable of sympathy necessary to bless that which the sober must solemnly stand on guard against” (90). Rav Shagar allows himself the luxury of accepting too much within a metaphysical schema. Perhaps not ending with Hitler, but starting with Sinai. Shagar quotes a famous Talmudic passage in which God hold Mt. Sinai over the people. Accept this Torah, or else. Shagar cites the story, seeming not to see that the rabbis were troubled by this compulsion, which would void any contract signed on by the people under its threat. Shagar accepts God’s threat to reduce the world to primordial chaos. He also accepts evil in the world, dumb chance, the binding of Isaac, the plot by Haman to exterminate the Jews. Shagar can do so because he believes in the possibility and reality of redemption. Now, I can see how a religious thinker might simply understand evil and suffering as a pure, dumb, and simple expression of divine will. The problem is that Shagar wants to integrate divine will with divine wisdom. This means that evil and suffering something are held up as “good,” “just,” and “as it should be.” I just don’t get that. Probably because I think there are some things that can’t be redeemed. I’m with Theodore Adorno and Ivan Karamazov on this one. So were most of the post-Holocaust thinkers writing in the 1970s, including the modern orthodox thinker Eliezer Berkovits. That Karamazov turns into a parricide is Dostoyevsky’s problem, not mine. I’ll stay with rabbis and dualism, or any monism more corrigible than this kind of mystical monism. I’ll stick with the notion that there’s something fundamentally polar, askew, divided, broken –all the way down, even down into the godhead (if that’s where, against sound reason, your thought is going to take you). Inebriation makes for pretty gross theology. Obliterate yourself once a year, once a month, once a week, okay. But I wouldn’t turn it into a lifestyle or, worse, a metaphysical principle. I don’t like drunks. Stoners, sure. But not drunks. After all the antinomian monism, well, some poor soul, usually a woman, has to clean up the vomit. This entry was posted in uncategorized and tagged dualism-monism, Judaism, Kabbalah-Hasidut, religion, Shabbat & holidays, what i'm reading. Bookmark the permalink. i would love to see your (critical) thoughts on my own essay on a post-ethics of drunkenness, published in the Uri L’Tzedek Purim publication, “Ve-Nahafokh Hu: Making Your Way Through an Upside-Down World.” The name of the piece is: “Ad de-Lo Yada’: A Re-Consideration of Ethics,” by Joshua Schwartz. do you have a pdf you could send me?